Our City Tour is the most effective way to visit memorable and relevant sights of Bogota in half a day joined by an expert guide with wide historical and present knowledge of Colombia. 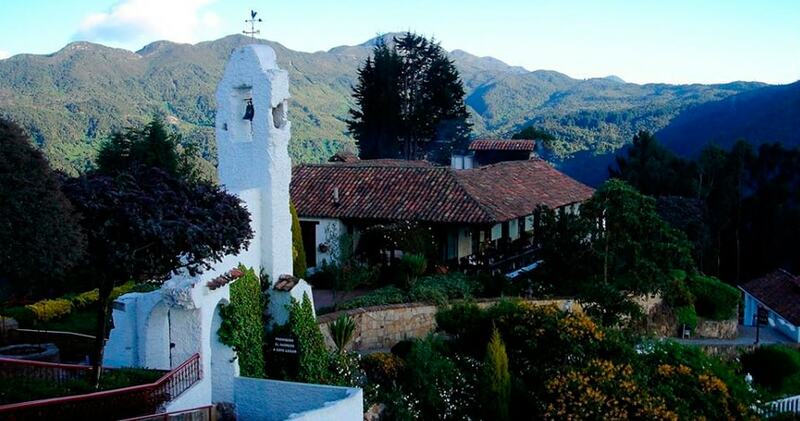 The first stop will be Monserrate Sanctuary, located within the imposing Eastern Hills of the city, at an altitude of 3150 meters above sea level. Ascending to the top of the mountain on a cable car, we will reach the most notorious pilgrimage point of the city and perhaps the most incredible lookout spot in the capital below. This is the best spot to grasp the historical and spatial context of the city. Following that, we will descend towards the picturesque cobbled streets of La Candelaria. We will visit the Botero Museum, which keeps many works of the eccentric artist Fernando Botero – who has become an icon of Colombian contemporary art. 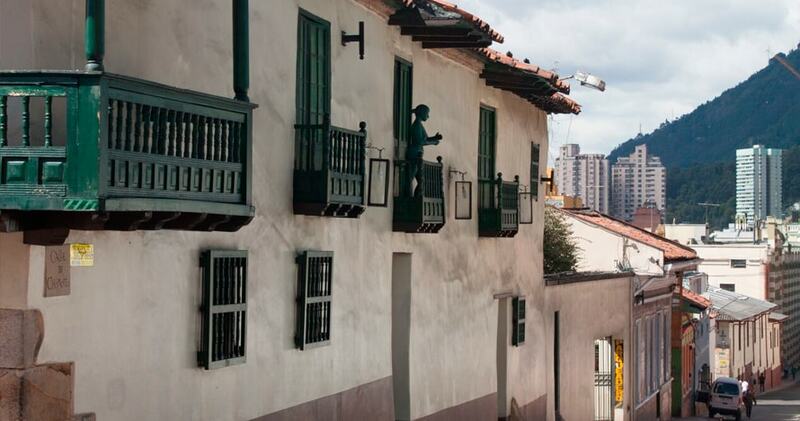 We will also stop at Chorro de Quevedo and appreciate the diverse contrast that historical downtown offers in order to properly understand Colombian history. 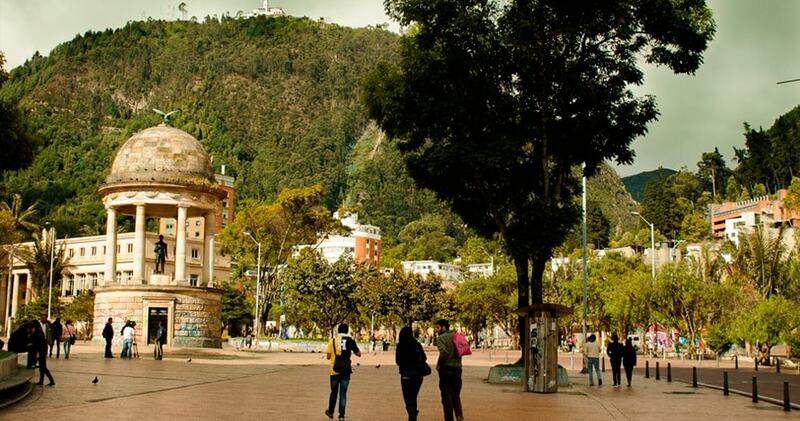 After the walking tour in La Candelaria, we will reach Plaza de Bolívar; the historical epicenter of Bogotá. Here you will find administrative and governmental buildings surrounding the main square of the Plaza, that have been icons of the historical processes carried out in our country. Here we will have the chance to enter the Prime Cathedral. Finally, we will cross La Candelaria’s border by el Eje Ambiental, where we will become immersed in the most impressive collection of indigenous gold in the world at the Gold Museum. As you leave, you’ll have the chance to shop at the handicrafts market at Parque Santander. Private transportation from and to El Dorado Airport Bogotá. Expert guide in the language of your preference (Spanish, English, Portuguese, Italian, French, German). Drinks and meals not especified in the description. The order of the tour can be modified due to weather conditions. The Gold Museum is closed on Monday, however, we can change it for another museum according to group’s interests. Changes and cancellations are not allowed. Please, check your reservation carefully before confirming your purchase. Cancellation and refund policy: Once booked, no changes or cancellations are allowed.